Pigeons may be the bane of anyone who's ever tried to eat a sandwich in a public park, but cut them some slack. Has any bird ever carried so many messages? Just like those pigeons used to carry messages back and forth, email is a two way process. 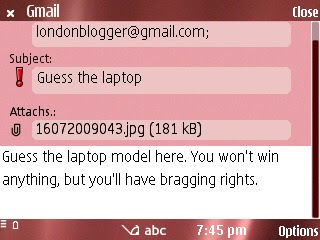 Why not tage a photo on your device and email it across to your coach to see what he/she thinks? It could be funny, it could be poignant, it could be dull (don't make it dull), but the goal is to elicit an interesting response so be creative. Now I haven't coached my partner yet (she is still out), but I'll go ahead and post a tutorial here for any newbies that may be reading. Nokia has made things simple by integrating functions within the camera applications that allows one to quickly select an image to be sent via e-mail, thus reducing the number of steps needed to attach an image to an e-mail. 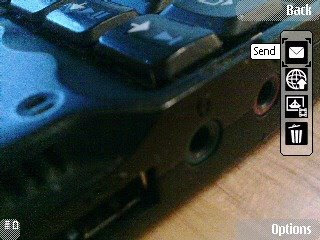 Here's a step by step guide using the Nokia E75. Capture the image. This is simply enough. The image preview area allows you to delete, view the image in the gallery, share it online or send it via a messaging client. Choose the method of delivery (in this case e-mail). 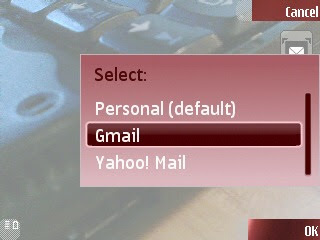 If you have more than one e-mail account, select the account you wish to send the image from. The image will have been attached already. 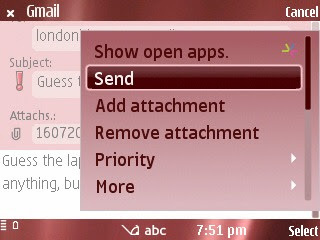 Compose the e-mail, choose your desired recipient, add more attachment if you wish etc. 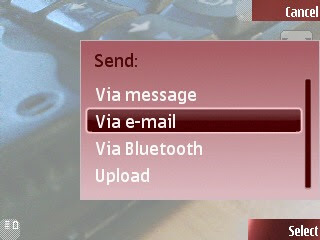 Send, and follow the on-screen promts which allows you to select your desired access connection (3G, WiFi etc.). 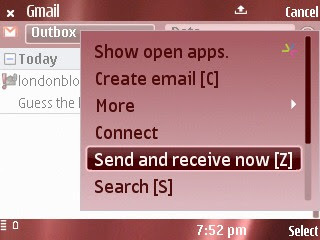 The message will be stored in the outbox if there is no working connection, or if you wish to delay sending (e.g. if there are no WiFi access point). You can always manually send it if once you are near a working WiFi access point. As you can see the process from capturing an image is very simple and seamless. It was never this simple during my Palm OS and Windows Mobile days (though I suspect that things may have improved significantly now). With integrations like this, mobile messaging and e-mail has never been easier. 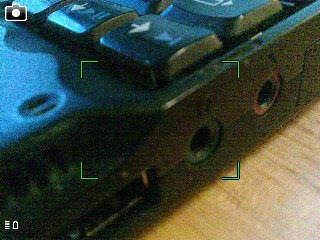 My partner (the technophobe) actually found the process to be rather easy after I pointed out that images can be attached to an e-mail message from the camera application itself. 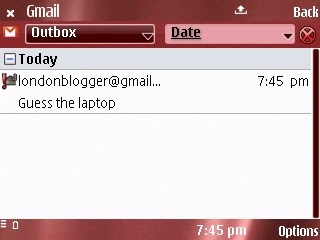 She did have a bit of a hiccup as she did not realise the e-mail was kept in the outbox and she had to manually connect. Once she figured that out, it was plain sailing. 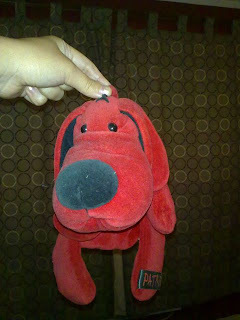 This is picture of Patrick, the loveable and skinny red dog, of whom we have a wonderful history together.